"Among the historic investments that will not be affected by these actions: a $70 million increase, record funding, for K-12 classrooms, (and) a more than $50 million increase for our college and universities, insuring that students don't pay a penny more for tuition this year," Nixon said. The restrictions do include what would have been a $5 million increase to K-12 transportation, meaning school buses, an extra $2 million for charter schools, and a $537,750 increase for the Parents as Teachers program. State Rep. Kurt Bahr, R-St. Charles, chairs the House appropriations committee for elementary and secondary education. He criticized the education cuts made by Nixon, a Democrat. "Missouri teachers are the lowest paid nationwide, and we had an opportunity to change that this year," Bahr said in a written statement. "I am disappointed by the governor's lack of support for programs that work to support both our students and teachers." Nixon, meanwhile, said he'll make even more temporary budget cuts if the Republican-controlled legislature overrides vetoes he made last month that wiped out a group of new tax breaks. "Tax cuts for yoga studios and fitness centers, a $50 million retroactive tax break for corporate agriculture, and a special tax break for businesses that are organized in a certain way; these bills would cost more than $60 million per year without creating a single job," Nixon said. "Let me be very clear here: I've been able to balance the budget today without putting the brakes on our key priorities, but that will not be possible if the legislature decides to divert $60 million towards more special interest tax breaks." The temporary cuts could be restored if revenue collections improve enough. But one that most likely won't is $750,000 allocated for the University of Missouri System Review Commission. It was created by Republican lawmakers following last fall's unrest on the Mizzou campus. Despite being de-funded, GOP leaders in the Senate still plan to meet, according to the Majority Caucus spokesperson Lauren Hieger: "We are currently working out the details, but the commission will proceed forward in the meantime." 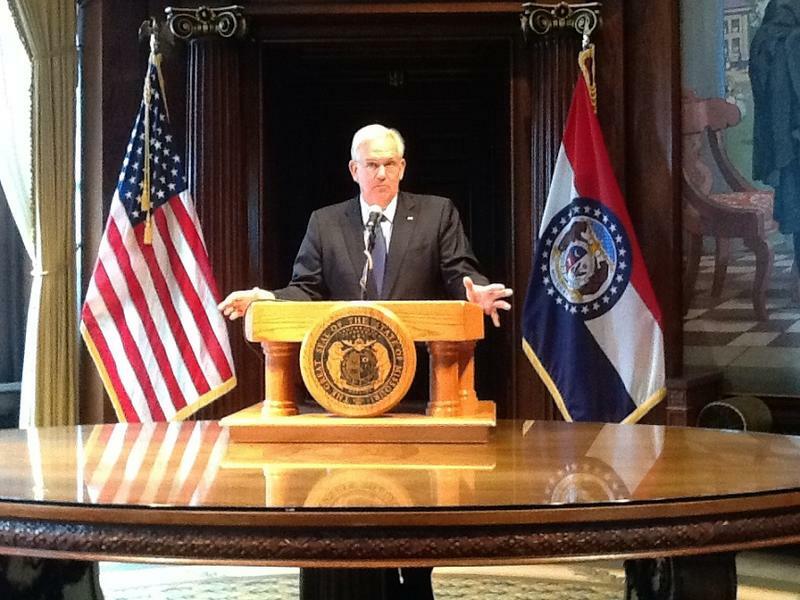 The entire list of temporary budget cuts can be viewed here.